UPDATE: BBC confirms iPlayer app for iPad and Android due this week | What Hi-Fi? After 24 hours of rumours, the BBC has confirmed an iPlayer app for iPad and Android will launch later this week. To use the app on Android devices you'll need Android version 2.2 and Adobe Flash Player 10.1 installed, and a wi-fi connection. Daniel Danker, general manager, programmes and on demand, confirmed the news, stating it was the BBC's intention "to be on as many devices and platforms as possible". The iPad and Android app will allow you to watch live TV and listen to radio, access the BBC's full on demand catalogue and bring features such as favourites to your portable. See our story immediately below to see a little more information on the app, as 'tweeted' earlier by a BBC engineer. The BBC's iPlayer app for iPad is due for release this Thursday 10th February according to a tweet from a BBC engineer. Geoff Marshall, a BBC lnteractive Operations Engineer, tweeted the news, suggesting you would need a Wi-Fi connection to play iPlayer content, with a 3G connection allowing you to merely browse programmes. This will be the first time that the iPlayer service has had a fully functioning application, though previously users have been able to access content through a web browser. 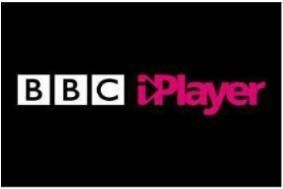 A proper iPhone/iPad app for the BBC iPlayer could be released at the end of February, according to reports on PaidContent UK. Back in July 2010 the BBC Trust finally gave the go-ahead for the Corporation to launch a series of iPhone apps, starting with one for its News channel. Although mobile users can currently view iPlayer using a normal web browser, the popular catch-up TV service hasn't had a dedicated app for Apple's portable devices. Last December BBC Worldwide, the commercial arm of the publicly-funded broadcaster, announced it was working on a paid-for iPad version of iPlayer to be released in the US. Now it looks as if we'll be getting an iPlayer app in the UK too. The iPhone version was first mooted by Erik Huggers, the BBC's outgoing head of future media and technology, at Mobile World Congress last year. He also suggested that Android, Blackberry and Symbian versions were on the agenda. Of course, you can already get BBC iPlayer on your mobile by going to the iPlayer website in your Safari browser, where you'll find a mobile web version that streams shows using QuickTime video. In December, 5.8 million programmes were requested from iPlayer via mobiles, according to the Beeb. So it will be interesting to see what advantages the full app offers. It might include more social networking integration, easy access to your favourites and possibly push notifications when a new show is available from one of your favourite series. We shall see. Let us know in the Comments box below what you'd like the new iPlayer app to offer.